'Prejudicial and homophobic language' is rife among pupils, say inspectors, as school bosses pledge improvements. A Dudley school has been branded inadequate across the board after Ofsted found pupils made 'weak progress' due to ineffective teaching. 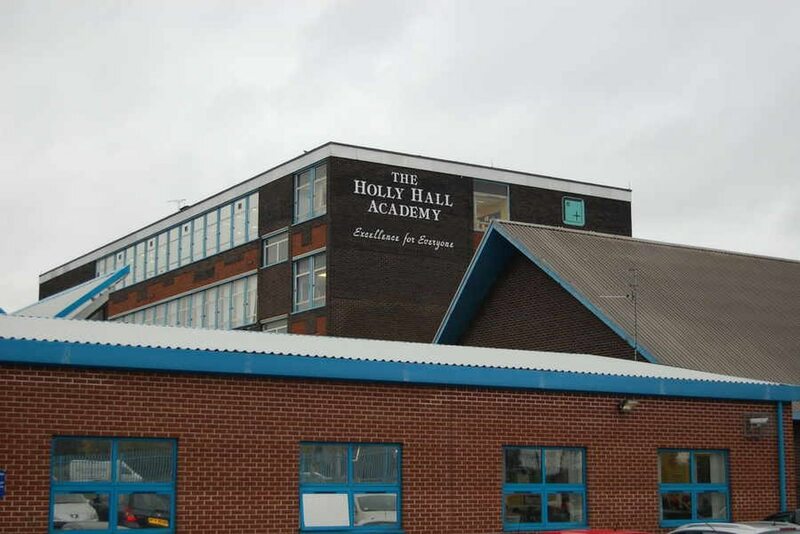 Leadership, teaching, pupil behaviour and success rates were all given the bottom rung rating at Holly Hall Academy, where inspectors noted a 'long legacy of underachievement' in English and maths. Prejudicial and homophobic language was said to be rife, while pupils told inspectors they were so far behind in some subjects that it would be impossible to catch up. In a damning report, lead inspector Dan Owen concluded that the 654-pupil school 'requires significant improvement'. It comes after the Scotts Green Close school's principal Rob Hatch quit last month in advance of the release of the report. Bosses at the Dudley Academies Trust (DAT), which took over the running of the school in September 2017, have pledged that Holly Hall will be ‘an absolutely and utterly changed school over the next 12 to 18 months’. In his report Mr Owen said pupils had made 'very weak progress' over the last three years. Teaching does not effectively develop pupils’ skills and knowledge, he said, adding: "Sometimes, courses are disorganised. At other times there is a succession of temporary teachers causing disruption, lost and repeated work." Pupils' behaviour was said to be 'inadequate', with 'too many temporary exclusions and internal isolations'. The report continued: "Pupils say that prejudicial, homophobic language is used regularly by pupils in school. There is no evidence of this in the school’s own logs of incidents. Persistent absence was described as 'very high', while overall attendance had improved but was still below the national average. School leaders were criticised for failing to secure positive outcomes for pupils. “Aspirations for pupils have been too low,” the report said. It added that the curriculum had been ‘weakly planned’, adding: “Pupils fall behind over time and do not have the skills and knowledge they need to be successful in exams. The report noted that the academy’s new trustees group had taken 'swift action' to improve outcomes for pupils. Safeguarding arrangements were described as ‘effective’. The report said pupil progress had been ‘weak’ in English and maths, but was now improving due to ‘stronger, more stable teaching and accurate assessment’. Around half of pupils in the school are classed as being from ‘disadvantaged’ backgrounds. Lowell Williams, CEO of Dudley College of Technology and chair of DAT, said: “Whilst the report about the school’s current position is disappointing, it is good to see Ofsted recognising a potential positive future. Interim Headteacher Andy Landers, said: “We have a big agenda to address but I feel confident that with the ongoing support of our sponsor Dudley College of Technology, we have the skills and abilities amongst our staff to accelerate the rate of progress in the school. In its previous inspection in 2016 Holly Hall was given a rating of 'requires improvement'.